– Carla finally gets to mention how she used to be a model and got to go to France. Good for you, Carla! – We get it, Dale. You have a girlfriend. – Professor Ricky Blaise wins the quick fire! For making black ice cream! Looks good enough to eat! 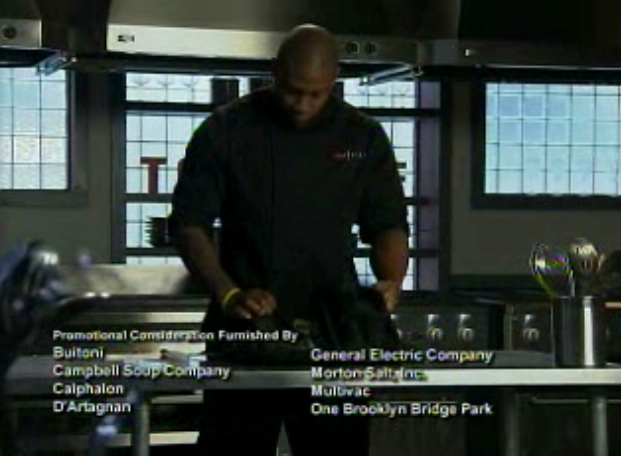 – The elimination challenge is to cook one of the three main courses at the legendary NYC Italian restaurant Rao’s. – Lorraine Bracco is a guest judge, because of course she is. – Mike, who was like, “I’m an Italian from New Jersey, I got this,” under-cooks his pasta to the point that it’s inedible, somehow managing to screw up the one thing that literally any college kid can make. – The old Italian guys love Fabio’s polenta, but it’s polenta, and he’s Italian, so he’s disqualified. 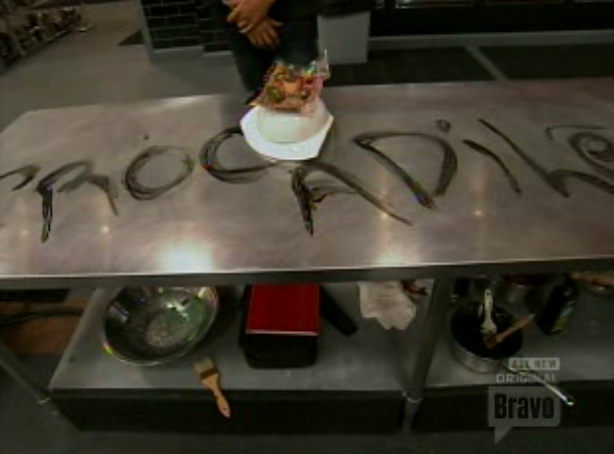 – And Tre goes home because he made risotto, and everyone knows you don’t make risotto. Apparently risotto is impossible to cook properly, even if you once made it perfectly and won a challenge in a previous season. It’s like cooking chicken feet or using pre-made dough. KISS OF DEATH. Just don’t make risotto, okay? DON’T. And so ends a completely boring, forgettable, milquetoast, bland, unmemorable, were you even trying competition for Tre. Okay, onto tonight’s episode with Jimmy Fallon AKA the most important episode of Top Chef ever.